How to deal with violent outbursts during fits of frustration (i.e. : hitting, throwing stuff, yelling). Especially at school. Obviously prevention is key, but any tips would be helpful. Some research studies have shown that people with Asperger’s Syndrome may exhibit violent behaviour; yet, other studies have indicated the opposite. More research to obtain consistent conclusions is needed in this area as it has not been adequately studied. You are not the only parent to have observed such behaviour in your child. Whether it is due to Asperger’s Syndrome or is a co-existing psychiatric disorder remains to be seen. In the meantime, you need to know how to deal with your child’s aggression and violent outbursts. Fulfill a sensory need, perhaps feelings of hot, cold, thirst, or hunger. Reasoning or debating an issue with your child to justify your expectations will not change her behaviour. She wants to satisfy her needs, not satisfy your wants. She is not likely to empathize with you or acknowledge anyone’s objections to her behaviour. You need to be “concrete” with her. In other words, tell her that the inappropriate thing she wants or the unacceptable behaviour that she is demonstrating is not allowed. She needs to follow structured, consistent rules which will assist in modifying her behaviour. Don’t give in to hitting, throwing things, or yelling, no matter how hard it is not to. One way to stop aggression is through the use of behaviour modification. You must determine what need the aggression is fulfilling, and then teach her a replacement behaviour that will satisfy the need. For example, if your child wants a glass of water, she can be taught to ask for or point to the source of water. Also, you can design an emotion card which shows a glass of water, and she can point to it. Some children use PECS, a non-verbal system of communication to indicate their wants and needs. The importance of maintaining a daily routine cannot be overstressed. Consistent behaviours, obligations, etc. will help reduce your child’s aggressive and violent behaviours. Daily routine creates stability and comfort for Asperger’s children; also, it helps to lessen their need to make demands on you. When you establish a routine, you eliminate some of the situations in which your daughter becomes demanding. For example, by building in regular times to give her attention, she may have less need to show aggression to try to get your attention. Children who get what they want because of their violence or aggression are very likely to continue and escalate that behaviour. In time, your child must learn to appropriately communicate the cause of her aggression and get her needs met through that communication. A behaviour-modification program may help your daughter. This program must be designed for individual children because people with Asperger’s Syndrome vary greatly in their handicaps and family circumstances. Please note that some treatment approaches that work in certain cases may not work in others. Also, children with Asperger’s have difficulty generalizing learned experiences from one setting to another. As a result, the skills they learned in a hospital or school tend not to be transferred to the home or other settings. Asperger’s Syndrome and Difficult Moments: Practical Solutions for Tantrums, Rage and Meltdowns – Revised and Expanded Edition by Brenda Smith Myles & Jack Southwick is a great place to learn more on the subject. This expanded edition of this bestselling book offers parents and professionals many solutions to minimize and/or prevent the rage cycle of the child with Asperger’s Syndrome. This excellent resource also focuses on the behaviours and reactions of the adults in the child’s life and emphasizes the importance of teachable moments before and after a rage. This description sums up my 5 year old child. Just prior to reading this e-mail we just finished a 1/2 hour melt down that consisted of him hitting, bitting, kicking me. He also spit at me. He is extremely strong now, I can’t imagine how awful this is going to be as he grows. I weigh 127 lbs and he only weighs 50 lbs. I can barely hold onto him now. I truly appreciate the information you shared with us. I am deffinately going to look for that book. I need ALL the help I can get. my 11 yr old daughter with aspergers has several outbursts a day. Along with these outbursts she yells out foul language. It is extremely embarissing especially at church functions. She told me she cant control it. How do I deal with this? “Success” will be defined for each individual child. For my son (now 8), “success” started with going from a non-verbal state to a verbal state, then from a monosyllabic state to a polysyllabic state, then to the point where he could calm down enough to express himself given the chance. It’s taken a long time and a lot of help to get him this far, though. His primary diagnosis is PDD-NOS, and getting on medication after being co-diagnosed ADHD has done wonders for his ability to control himself when he gets frustrated. He too does best in a very consistent environment, where all are agreed beforehand what the expectations are. Melanie, your daughter might also have Tourette’s Syndrome — if so, she truly cannot help her foul language during her outbursts. However, I have a friend whose son has been helped tremendously with medication. Good Luck! My son is 22 and still rages.Primarily because he wants me to leave him alone. Though he is doing better he has the maturity of a 16 year old and insists on doing (more like not doing) things his way. I am clearly not the one to provide advice, though I do try to sneak some in at opportune times. My daughter is 11 and we sometimes find going to wal-mart (or such stores) has to be a short trip! A month ago I thought she was in the right mind set to go and we were in the store for maybe 30 minutes and then it changedin a flash. She had a meltdown in the middle of the electronics isle, she wanted a case that she has the exact one at home. Well it took me 45 minutes until she decide that I was not giving in! I had people come and look down the isle at me and her. I hurried and went to the check out and got out of there. After talking to her therapist about it he said that she probably got overstimulated and the case she wanted was just like a security blaket. The melt down wasn’t about the case at all. Sometimes I feel like I need a psychology degree to understand how to handle some situations. Yes I can relate to this! My 10 year old daughter has constant rages which cause problems and stress to the rest of the family.Unfortunately its a vicious circle. She constantly gets her own way because she can get so out of control that we all live in fear of her outbursts. Sounds terrible, I know. How can a ten year old get this much control? Can anyone help with some strategies? To Lori Caron. My son, age almost 8, has Aspergers. He did NOT tantrum until the last year or so. I hate to tell you that, but felt I should prepare you just in case. It seems the more complex, thus stressful, his life becomes simply by developing, the more difficult it is for him. I have read the Aspergers and Difficult Moments book, and it is very very good and has helped me minimize tantrums, but I still struggle with them, and we are still working on it. My son is 8 years old and has been violent now for 4 years. He has been diagnosed as severly ADHD and most likely mildly aspergers. I am currently highly stressed over what to do for the upcomming school year. Last year, every time he had an outburst or a meltdown at school, he was disciplined. He was always in time out, missed fun days where the kids get to do fun things like go to the park, have water fights, etc., (which, by the way, he was forced to watch), or suspended for 3 days. He was suspended a total of 5 times and the last time they treatened to suspend him I threatened them back. His doctor says the school is the problem because they don’t have a good Special Ed program and I need to get him out of there ASAP. As we all know, these special children are very rigid and do not handle change well. With this in mind, I have spoke with him about possibly changing schools and he says that he has become used to not getting to do any of the fun things and he doesn’t want to change schools becouse all his friends are at this school. He is an all A’s student and his doctor says that if I leave him the school will commit “academic homicide”. His grades will start dropping and he will eventually just quit trying and therefore quit learning. In the same respect, I’m afraid if I pull him out and put him in a different school, he won’t be able to handle it. I’m bearly sleeping becouse this is all I can think of. Any advise? If your child is not having tantrums you may have a person in a different color of the ASL spectrum. Count yourself blessed. The advice to have a routine as well as planned focused attention, are the best. When we are going into a new situation I try to tell my son 16, what to expect and what I expect from him. i find that although I’d like to let hard lines slide at times he just can’t handle it if I don’t stick with the black and white expectations. When I change the rules because I think I’d like to go a little lighter on him it often results in a meltdown. He also does so much better when I give him time where I am focusing on him and doing what he wants to do. Although I don’t always enjoy his choice of activity It is worth the calm it buys. For a child who has scary verbal outbursts with language that is not acceptable and can’t be controlled; although I don’t like to suggest it, you may need to get help with further diagnosis. There are often various comorbidity issues. My 8 year old has just started to show some anger – although minor. We until lately had never seen anger from him. We think that school and the larger environment is showing him how to be angry. He has children in his class (satellite with special needs) that are autistic with anger issues, and we see him acting as they do in certain situations. We just try really hard to explain in his terms, that the (bad!) behaviour is ( insert some-ones name) behaviour and not his. He is very bright and understands most of the time. We have also put into place a quiet space and “calm” book…he can go to and draw his anger for us to understand better. These do work as drawing/writing is a favourite pass time for him. He also seems to forget the issue within 10 mins or so after, so thankfully no concrete memories are kept. Good luck to all on this issue. With the help of an anger management councilor, we found skills to help defuse melt downs. We became more aware of suttle signs that the outburst was brewing. We found keeping a routine helped but also limited time on his “core” interests helped. For instance, my son loves to research cars on the computer. It is tempting to let him sit there as long as he wants because he appears to be content but he may let him sit there and look at the websites until he has an overload and then suddenly offset that with an outburst because he becomes overwelmed. Once a full blown outburst is occuring we have found that the best way to defuse it and not to be drawn in is to not give him access to anyone to feed his anger off of. This may mean everyone leaving the house. My son is older and this is now possible, but staying and trying to reason or change the behavior once it has elevated to full blown can be futile. If he does not have anyone to fuel the flame with it will go out quicker and everyone can come back inside the house and start over! Also if the meltdowns are becoming more frequent you may be overdue for a trip to your physician because it may be time for a medicine change or doses change. Do not hesitate to keep a calendar to let your doctor how frequent and at what level the outbursts are occuring. Adding more physical exercise, especcially when puberty begins to occur can help. This can seem difficult because many Asperger or Autistic Children are not into sports. Physical Activity can be added in small ways. Get them to take a walk, even if it is really only their way to walk beside you and argue, have them do a choir that includes carrying something heavy ( even if it really doesn’t need to be done like moving a chair to a different room or putting a big box of something up on a shelve and telling them you are going to use it later). Most of all, don’t give up. Because there are many unusual things about Autism behavior and as parents we are tired, I think sometimes we tend to think that the meltdowns are just a given that we have to put up with and this is just a big diservice to both the child, parent, whole family unit, and their ability to succeed later in the community later as a whole. My 18 year eldest old son with Asperger’s nearly destroyed this family. He would go on rages where he smashed everything in sight, put holes in walls with his fist, even through plate glass, on one occasion nearly severing his hand. This, coupled with manipulative behaviours where he tried to split up my wife’s and my marriage because he resented my ‘authoritive’ role in the household where I said ‘no’ to his behaviours. He exhibited increasing violence to his siblings, except for his youngest 10 yo brother who he tried to turn against us. No authorities would take us seriously when we cried out for help. We eventually dragged our boy to a Psychology clinic where the diagnosis of Asperger’s was confirmed. His behaviour became destructive towards both himself and others and got to the point where he endangered his own life and the lives of others in this family. We then had him hospitalised and then I took out an intervention order, forcing his problem into the hands of others. I cannot stress enough the importance of seeking help if you see any of these signs emerging. Our son ruled our home with intimidation, threats and violence. We tried to show him love but to no avail. If your Aspie is doing stuff like this demand help early. Refuse to be ignored. Your sanity and safety are too important! We are trying to rebuild bridges with our son at the moment – but from a respectful distance. After what has happened I don’t think I will ever let him move back home. If you have a similar story I would love to hear from you. This is a lonely path for any parent to tread. God bless you all for the battles you wage as you care for your Aspie child. One method I found that helped with my son during a meltdown was to wrap my arms around him tightly. Many aspies seem to need to feel the tightness to regain control of themselves. Do be careful when holding your children as broken noses and black eyes are common. I learned the hard way to position my head next to his so our ears were touching. Raging always seemed to be a response to over stimulation of noise, touching or frustration. His second grade teacher seemed to be unable to stop hugging him which resulted in raging behavior and she blamed us for his behavior! The sooner aspie children learn to control their responses to overstimulation or frustration, the better they are able to function in society. Even though they live in their own world, they must learn what it takes to survive in ours. I am considering Home schooling because I am so afraid of stuff happening at school. I just wanted to add that the article was helpful because I do see that my son Ryan is usually tantruming when he wants to get his own way. It’s just accepting that this 12 year old who is taller than me at 5’3″ is acting like he is so much younger. Also the article saying to be concrete. This is something I try to do, but it is good to be reminded to say something concrete. Like “This is unacceptable behavior”. He will usually agree with me and clean up whatever he upset/ make apologies. In response to Pat, I like the last sentence of your comment. Teaching them (Aspie’s) to live in our world…. My son loves to be hugged (he is 3.5 yrs old) and I love that he asks for a hug at least 5 times a day. Did your son like to be hugged in the second grade or was that something his teacher did that he didn’t like & thus created his frustration?? My understanding is that Autistic people often like the pressure sensation was this opposite in your child’s case? Our grandson 1 1/2 has been living with us 9 out of his 12 years and is in a custody battle at the moment as he doesn’t want to live with his mother and stepfather and his children to his mother. When I read the anger I realise his mum could have behaviour problems with him but living with us he is like an only child and there are rules and he responds to rules. Poppa is quite strict with them but it works with him. I understand now about the spitting. I actually witness him spitting on a boy (to my horror) and had to really let him know that it ws appropriate behaviour and now at 12 there have been incidences at school where children have told the teacher he spits (and I can well believe it. We talk about it being inappropriate but now being older he can think up good excuses to try and get out of it. My son is thirteen. He was diagnosed with Aspergers at 7 yrs. One of the first things I learned was that he was more prone to the meltdowns when hungry or especially becoming sick. I’ve also noticed that we cycle through different inappropriate behaviors. We will learn to change one behavior, then a new one will appear for us to change. I do best at helping him change when I can see through his eyes what he is facing. Also be forgiving of yourself when you don’t recognize the signs that might trigger the behavior. Many people have noticed a huge difference in my son since I began opening ourselves up to others about how to help him. One special teenage girl began a friendship with him that has led to some amazing results. Having a pet, being involved in activities, etc, has given him other things to focus on. My son, now thirteen was diagnosed with ASD at seven. Hunger, sickness, and extreme sadness have been his main triggers for anger outbursts. I have more success in helping him deal with these issues when I can see them through his eyes. However,vyou need to be forgiving of yourself when you don’t see what is happening, or when you get frustrated yourself. I’ve noticed that we have a cycle we go through: trigger , inappropriate behavior, replacement behavior, peace for several days, then trigger , new wrong behavior, etc.! We are getting many comments now about how much our son has changed. We opened up to other people on how to help him. These new relationships, having a pet, church, and prayer have brought amazing results. Don’t give up on dreams for your child. Thanks for the tip on the hugging thing-will definately try it!Does anyone have any advice on my situation? My 4 year old has very violent screaming and hitting meltdowns and is very aggressive and controlling of his younger brother (16 months). I can’t turn my head for a second as I am constantly watching that he doesnt hurt his brother. Apart from all the other behavioural problems we have with him, this is my biggest worry at this time as I am utterly exhausted!I cant find any info on coping with an even younger sibling of a child with ASD,it is all about older siblings. I worry that my littlest one will be afraid of my 4 year old and how will this affect him later on.I am also starting to see the little one(who is so calm and happy natured)starting to mimick the things his older brother does like hitting me etc..Is there anyone out there who has gone through these things? My son, now 12, regularly works himself up into a real rage and screaming fit at his Xbox game. As this is his main source of pleasure/activity at home, I can’t withdraw it. However, his younger brother is now also home from school and they share the playroom – I can’t seem to find a way to make things work for both of them and feel it’s really not fair on the younger one to have to try to ‘put up’ with the screaming that goes on. Sometimes we just leave the house to get away from it, but that’s not always possible. He doesn’t seem at all interested in ways to modify his behaviour either. Our son is nearly 6. He is a rager at home, often hitting out, yelling, screaming and crying uncontrollably. I tell my husband that this is the time he needs us most. To respond in anger only serves to prolong the outburts and impact on the rest of the family. This is hardest for my husband as he is also has AS and he is not always equipt to deal with the challenges of parenting an asperger child. Our son’s rage behaviour is not apparent at school. At school he complains of being lonely, and that he has no friends. He also says the bigger kids are “nasty” to him. The school reports that there are no problems that they can see. It’s hard to tell what’s true as he often misinterprets situations and the intentions of others. His teacher also has an asperger’s son – and we thought this may help her to better understand our son’s needs. The opposite is true- as her awarness of AS is limited by her own experience and in her mind, our son “doesnt fit the profile” despite the fact he has been diagnosed as being on the spectrum. In our experience a routine is essential, visual aides to assist our son to understand time and turn taking, and also asistance through social stories to improve his capacity to respond appropriately to different social situations. Thanks to Dave Angel and all the comments!!!! As a singe parent a young age of 33yrs,and having a 2nd son with ASD is hard having car accident myself. I have only had a child the first one for a period of the first 14months of his life and now having a 8 year old for all of his life. Most or just my family they think that everytime they are around that they need to take over the care of my son. So when I have time I LOVE to catch up on all my Parenting Asperger Child file & read all of the blogs comments that I can save them and go back over as need to. To take some of the sugestions at the time that might be useful to my situation. For me a file is good use for my memory and to go back over. Sorry for the late intery. I have a 11 yr. old son who has many violent outbursts. The worst of them are at school. I’ve become so frustrated with the school system because they are untrained and refuse to get training. My son is at grade level with all his classes. The school says that he has a behavior problem, even though we have a documented diagnosis of Asberger’s. I wish I knew a resource to go to find our rights as parents to get the school to provide the services that they are required to provide in his IEP. I was also wondering what other people are using for medication. My son also has ADHD and was taking concerta. We recently switched to Vyvanse which has helped. Vyvanse is a stimulant but doesn’t have the same “revving quality” for lack of a better term. The thing we notice the most is his fuse seems to be little longer and is able to be redirected easier. I think the hardest part for me is that I understand my son better than most,(I have ADHD also)but I don’t seem to help. My 6-1/2 year old, dx’d at 3, comorbidity ADHD and mood disorder has tantrumed since age 4–he’s a hitter and kicker, sticks his tongue out a lot and makes raspberries but has never bitten anyone (small comfort!) On medS now somewhat lessened in intensity: he remains verbal but will perseverate relentlessly. He does do best with routine but I’ve found that he will gradually try to narrow the routine to suit himself by acting up when he doesn’t want to do something. He is bright, charming and manipulative. He does fine 1:1 but peer groups of any size stress him and his usual reaction is “flailing”. Telling him his behavior is “unacceptable” does very little as that is too “abstract” for him, unless it is followed by a “choice” (Something along the lines of You can take a deep breath and calm down or else we have to go home/skip the movie/have no computer time etc., etc. etc.) Staying calm is key. Unlike many on the spectrum, restraining him does NOT work to help calm him, in fact it accelerates the rage, once the physical aspects manifest. I was very disturbed and my sympathies to the father who had to turn his teenage son out of the house to protect his family. What a nightmare! I am haunted by the idea that my little guy may some day, unless he can become more self-controlled, have to be hospitalized or perhpas wind up in jailfor his aggressive tendencies. Prayers for all! My thoughts and prayers are with ALL of you! HE HATES TO BE TOUCHED! HE SCREAMED AT my brother inlaw, get your &^&^ hands off me I don’t want any of that nasty^%$^%$^$food. Four letter words were flying! I quietly said Reilly, that is enough LETS GO. I reprimanded him in the car all the way home. And he is right no meds are gonna fix him, I can only hope and pray they will help him a little. In the past 16 months Reilly has lost his Dad his Step Dad and his Grandpa. Reilly does NOT cry, he gets ANGRY. That is how he deals with his pain. NOT acceptable, not politically correct. I know…..
NOT the way ” normal ” folks deal with pain. If I could change it I would. It is a constant battle. God give me strength. Does anybody out there have a magic wand I can borrow, just for a minute, I would like to get these judgemental know it alls off my back just for a minute. I would like to see them walk a mile in my shoes, never mind a mile…..let them walk a block. JUDGE not lest ye be judged! It is SO hard day in and day out. It makes it SO much harder when people critize. Bottom line my son has a condition, THAT IS NOT HIS FAULT or my fault. He was born that way. His brain is wired differently from most. In most people the messages go from point A to point B. In the case of the Aspie brain the messages go from point A to Q to Z and never make it to B. My son is Very depressed, he knows he is different, and he wants to be like everybody else. The first time he saw a shrink he was 10, and the srhink asked him….”If you could have any thing in this world, anything at all what would you pick? Reilly replied…” I wish I could have a new brain cuz mine don’t work right” Later when the Dr told me this, with tears in his eyes, he said most kids when asked that question will say they want a pool in the backyard or a trip to Disney Land. I think it is the small minded idiots of the world who need a new brain. I am going to be completely honest here….. If i did not have a Son like Reilly I wonder If I would be a judgemental jerk too…?????? Because from an outsiders point of view it may very well seem that these kids are just out of control spoiled monsters. I raised 3 healthy daughters, they were/are VERY WELL behaved, I was all about the tough love. And they are Fantastic, Phenominal young ladies. 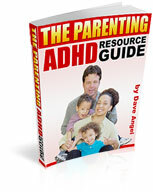 Aspies do not respond to regular parenting skills and methods, like other kids. Patience, Patience and more Patience is the key. I whole heartedly agree with Lea Having Pets helps, they love Reilly unconditionally, as I do. He loves to skate board ride his bike and go on the computer. Its when he gets aound people that his problems start. Kids can be so cruel. God Bless the Aspie’s and all the wonderful, compassionate Folks who Love them! We also feel for you all and hope you find a solution at some point. Our son is 11 (12 in November), he is a big kid. Danny has extreme meltdowns, at times these have lasted for up to 4+ hours! As with many others talking does no good, reprimanding does no good. He will even tell us if he has to listen to another lecture he is going to lose it even more. Danny sees Danny- it seems like that is too simple however we beleive that is the answer. He has been on numerous meds which have not worked. His Dr finally took him off all but one. Danny’s meltdowns include banging his head against the wall (hard), grabing and pulling his facial skin, screaming bloody murder (its no wonder his friends in the neibourgh hood have begun to alienate him), threats to my wife are becoming more common (I have begun to worry about this factor), throwing objects… Danny has passed out, becomes dizzy, gets hives all over. He has a rage issue. The Dr’s say he is 2-5 yrs old socially and emotionally. It is sad because he is extremely bright and very smart. I wonder often about his future. He has strong avoidance issues at school and church, he literally goes to the restroom for 15-20 minutes up to 4 and 5 times a day at school! Thankfully he has held his rage in check at school. Danny can often be polite and caring but we are beginning to see that these situations many times suit his goals. I wish I knew what to do… next year he will be at a new school. It is a program for children with aspergers/autism or similar issues. It is called CASS (communication and social skills). We have heard of fantastic results from several people. We hope this will start a change! We will keep all of you in our prayers. Hi everyone! I’m glad but sorry i”m not alone! I would like to say that Occupational Therapy really helped my daughter and us learn some techniques that helped with self control. We of course stay on a schedule. I try to always give her a SOCIAL STORY everywhere we go so she will understand the situatiion and if she feels uncomfortable we have a comfort plan for her. Luckily, she likes to read so always we have a books and she can always grab her book when she feels herself starting to get overwhelmed and go to a safe place and read. I always carry a snack she likes and drink. If she is not Hungry, Angry, Lonely, or Tired. HALT the meltdowns are minimal. We always give her warnings before a transition. Ie: you have 2min. before we are leaving. If not, a meltdown is sure to happen. I hope by our experiences this has helped someone. Good luck and blessings to all. You are not alone. My daughter is 7. This yr. she showd much improvement. There is hope. I identified with many of the comments posted. Especially, I feel like Patty. My kid is also now acknowledging he is different, and trying to deal with it. He is entering a class with thirty students this year, so I’m not expexcting much improvement on the school front from last year. I want to transfer im, but there is the matter of money, and the matter of transportation, and the matter of childcare. I also need to hold a job, so there is the matter of sudden suspensions. Even though the staff at the school has had him there since pre-K, since his class size doubled (as it does there at grade 3), he has had had more problems. It does not help that the classrooms are no larger than than those for the younger children. Has anyone tried hypnotism, or Montessori school? I’m considering these, as well as homeschooling. (which would wreak havoc with holding a job – then, there are the busybody naysayers always trying to start trouble). I hear all of you. My son is on DAN protocol, but still needs more help. He now has Blue Choice, which is a lot better than when he only had Medicaid. We have no idea how long that will last. There is still much it will not pay for. Hi, I have a 17year old girl and a 7 year old boy with AS. My daughter has always had meltdowns but mostly at home or with family. She usually isn’t too bad at a store or in public. I never understood the meltdowns until recently when she was diagnosed with AS after our son was diagnosed. He never had the meltdowns until recently. They just come out of the blue for no apparent reason or for something most people would consider trivial. My daughter has often voiced that she doesn’t know what or how to explain what is feels or needs when she has the meltdowns. Many times, she doesn’t even remember what she has done during the meltdowns. She was first diagnosed with ADD, ODD(Oppositional Defiance Disorder), anxiety and depression, and possibly Bipolar. I wish we could have known about the AS sooner so things could be different. The tantrums, I think are a way of releasing frustrations and sometimes fear of the unknown. You have to be very patient and try to find out the core of the problem rather than just trying to stop it. The AS is much more noticeable in my son by his mannerisms. She has figured out how to adjust most of the time to her surroundings while he just goes into shut down. I guess it is the age. Sometimes, I just don’t know what to do because she tries to show that nothing bothers her and she doesn’t care while he shows all the obsessive fears and behaviors. Is anyone else going through these things? They both take lots of medicines and that costs a fortune but we can’t get any help because we make just a little too much money. He gets speech at school but they won’t evaluate him for PT or OT because his grades are high and so are my daughter’s. I feel like they are falling through the cracks to a certain extent because we have always worked to hard with them at home. We can’t afford therapy anymore. What is a family to do? I don’t know if this is of any help to anyone, but EFT (emotional freedom techniques) is free to learn and quite easy to use. Getting your children to allow you to use it has been the hardest part for me. Ann Adams has used it in a school for emotionally disturbed children with enormous success, but it is also something I think could be in every parent’s toolbox! http://www.emofree.com for the free manual and a whole host of other helpful information. i have read all the comments and i too understand the pain and hardships that we face raise children with aspergers. My son is 14 and weighs over 100 pds over me. normal tasks such as bathing and brushing his teeth are a constant fight daily. according to his father, he is teh opposite at his home. My son recently was arrested and released to me because he threatened to kill people on his hit list. When I asked why he created a hit list he responded with “i usted wanted people to leave me alone” because they would tease him about his obsessive interests:guns! I know YIKES right! I have tried for years to have teh school place him on an IEP but because his fathers fear that he will be labeled they refuse to do it. Now he is in trouble with the law and i think with teh intervention strategies that would have taken place we would not be in the place where we are now…. scared and unsure what to do next. My son’s father has been violent to me and my daughters, in addition with telling my son that women are not as smart nor should be listened too. He also manufactures weapons with in his home and teaches my son how to use them. The police report stated that he keeps a gun collection at his home that is not locked up. I have a restraining order against him to protect me and the girls but the court system will not restrict him from having weapons. I am afraid of my sons and others safety and do not know what to do…. My 6 year old asd boy started at a new school last week specifica;y geared towards kids with asperger’s and other forms of high functioning autism. He was expelled today for throwing a chair in the classroom. It looks like it’s back to public school where he has a 1 on 1 aide and still has a lot of trouble. He enjoyed going to school for the first time and was excited and now he will not be allowed to return. It is very frustrating. He is such a loving kid and does not display this type of agression at home. What do I do? I have a 7 yr old who was diagnosed by his pediatrician, He has his fits to, but there only at home not in school, It is draining after school he comes home and starts pulling hair of little brother and hitting and kicking and cursing, it is horable, I love him so much and only wanna help what can I do to console him and do you disapline a child like this, and if so how, time out, Im not sure he gets and it makes it worse. That is shameful of the school if you ask me!!! The School itself is dedicated to Children who are prone to these outbursts…. they should have taken it as a teaching opportunity. Sounds to me like they don’t specialize in these children at all!!! !